Sam Hutchinson: The Play-off Final mean't more to me than anything at Chelsea. Sam Hutchinson is fast becoming a success story at Sheffield Wednesday, albeit one of the best midfielders in the Championship. Sam Hutchinson is one of those players while at Chelsea, we all had really, really high hopes for. As with many others, he was touted as the first player to breakthrough into the first team since John Terry and looked well on course to do so. Unfortunately, at the age of 21 back in 2010, Hutchinson was forced to retire from the game with a hole in his knee and unbearable pain. In the six months that subsequently followed, he suffered with mental health problems as he battled against depression. He eventually sort assistance and guidance with his personal life from The Priory and eighteen months later, after a bone graft healed his knee he reversed his retirement and returned to the game. However, as with many others at Chelsea who find it a struggle to make the step up to become a regular first team player for one reason or another, Hutchinson was once again sent off out on loan at Nottingham Forest first of all, followed by Vitesse Arnhem. It was when he returned from his time in Holland that he decided to take his career in a different direction and he signed for Sheffield Wednesday and has never looked back since. "It wasn’t a big call at the time because I hated it. I just wanted to stop the pain and stop everything. I never wanted to come back. I didn’t want to play for Chelsea either because I blamed them for it, even though it wasn’t [their fault], it was just what happened. It was more depressing knowing I wasn’t able to do what I could do, because of the limitations I’d had. I probably did as much work mentally as I did physically to come back. I spoke to people, did a bit of brain training. You just get to a point in your life where you either go through the motions and maybe become a bit-part player or you really go for it. Everything was spiralling out of control. I just needed to take control and make my own decisions and just be a man about it. That’s what I’ve done at Sheffield Wednesday. As soon as I took charge of my own career, that’s when I started being happier and when I started reaping the benefits. Hutchinson is a credit to the game and an inspiration to those younger players at clubs like Chelsea who are never going to be given a chance. To suffer the injury problems he did, to then have to cope with the mental health issues that followed but to then force his way back into the game as he has done is fantastic. The Chelsea faithful who have supported the club throughout the years are more than aware of the young talent we have had here and we have seen being forced into a decision to leave to kick start their careers. 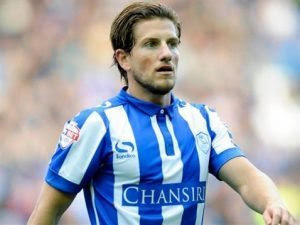 Sam Hutchinson deserves all the credit and plaudits he deserves and congratulations to him on his new deal.